Stephanie brings more than 11 years of non-profit management, strategic planning, volunteer coordination, administration, fundraising, and public relations experience to her role as executive director. Stephanie Powell is seasoned non-profit professional with a deep passion for projects that cut to the heart of the issues facing our community. Throughout her career, she has seen first-hand the catalytic impact young leaders have on their communities, and truly believes volunteer leadership is the cornerstone of positive change. Stephanie wakes up every morning excited to advance YLC’s mission of building leaders through civic engagement. 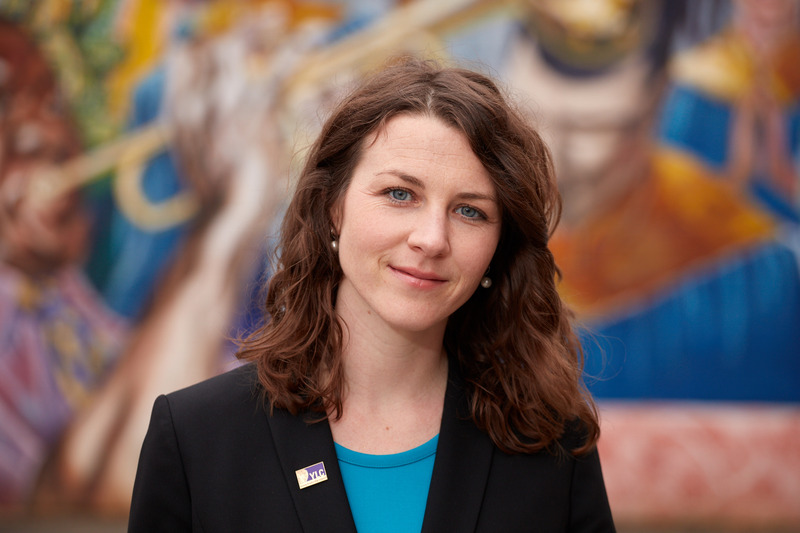 Prior to joining YLC, Stephanie served as the Field Director of the Restore the Mississippi River Delta campaign, the Executive Director of the Southern Energy Network, and has also worked for the Gulf Restoration Network. Stephanie is a graduate of the Green Corps’ Field School for Environmental Organizing and has participated in the Rockwood Leadership Institute, Loyola University’s Institute of Politics, and the Emerging Philanthropists of New Orleans. She holds B.A. in Political Science and in Anthropology from the University of Georgia.